Once they had a beautiful civilization on the surface. Once they were proud and they were free. They looked to the heavens and worshipped the moon. It was fear that drove them into the caverns. They fled from the persecution and the destruction that seemed so imminent. It was not in their nature to make war upon the people that threatened their lands. Leaving everything behind, they found a new home in a most unlikely place. They sought refuge deep beneath the surface. A massive network of underground caverns was built to house an entire race. They united to construct a new home. Maybe they could no longer look upon the skies to see their beloved moon. But at least the peaceful race was once again safe. Nobody would be able to easily reach them within the caverns. 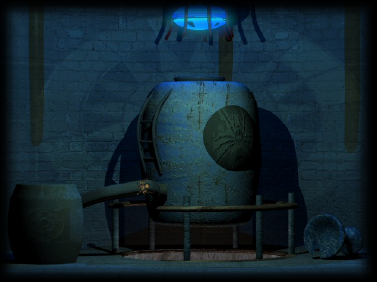 Utilizing incredibly advanced technologies, they created a machine that breathed life into the caves. The intricate machine gave them gave them air and light. It was powerful enough to control the weather within the caverns. Hidden from the rest of the world, the ancient people lived on. The underground sanctuary supported them for centuries. The technology did not falter. But everything is about to change. The entire race is once again in grave danger. With each generation the ancient people forgot something about the machine. In its beautiful intricacy, the machine continued to work. It was always reliable. Perhaps the people simply began to take it for granted. As the years went by, the fewer people remained that truly understood how the machine worked. Unfortunately, this negligence may have a terrible cost. The machine is deteriorating. Soon it will be completely unable to function. 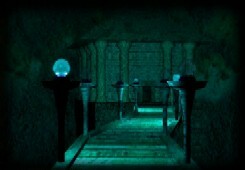 Life cannot continue within the caverns if the device does not operate correctly. As their life support is on the verge of complete failure, nobody can remember how the machine works or how it can be repaired. The people can do nothing but watch their home turn into a terrifying death trap. Escaping their land seems to be out of question. Perhaps returning to the surface is too daunting. Perhaps they simply cannot bear to leave the caverns that have offered them solace for so long. As a last resort, they send messages to the surface. They hope that someone capable of repairing the machine will see the messages. The ancient people solemnly wait. If nobody arrives to offer them help, the entire race could be decimated. But maybe, just maybe, all hope is not lost. Perhaps a savior will find the path to the caverns. Fear of persecution from outlanders had caused the race to migrate to the caverns. Perhaps this time, a stranger will bring not fear, but salvation. 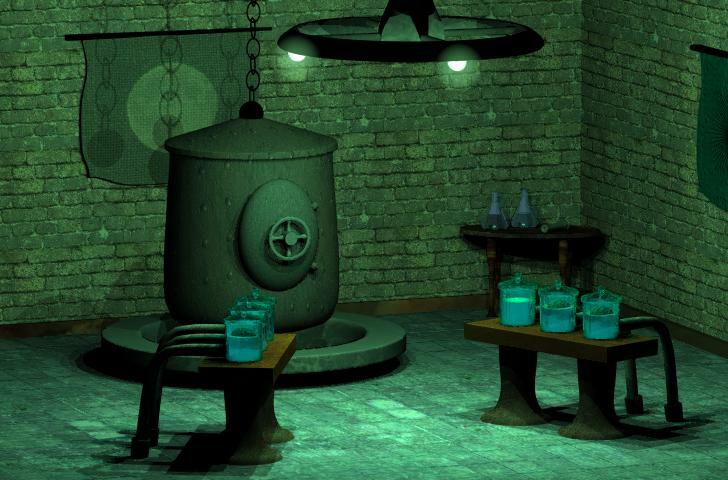 Lunar Deep is a first-person adventure game from AncientRein Gaming. An independent development effort, Lunar Deep promises a large number of locations to explore and plenty of puzzles to keep players busy. 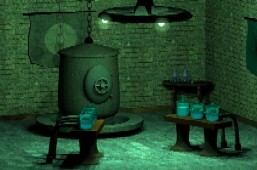 The game is expected to feature a good number of inventory-based challenges as well as various other kinds of puzzles. The project is already nearing its completion. 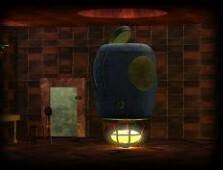 The game is scheduled to be released within the first quarter of 2006. Upon the release of the game’s full version, a demo version will also be made available on the official site. The full version will be downloadable from the Internet and only require a small donation before it can be unlocked. 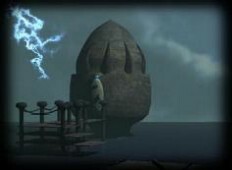 The following Adventure Lantern exclusive screenshot has been provided by AncientRein Gaming.